The current health care system is broken. A new health care system is needed. The time is now. It is necessary to address all aspects of an individual *Physical, Emotional, Energetic, Mental, and Spiritual* at the same time. There is not one way to accomplish this. Complexity demands that each individual be considered separately *As An Individual. In the current health care system, there is no place for the millions who are ill with Chronic Lyme Disease to get help when they are in need of more intensive support and care. No hospital exists that recognizes and treats these infections. For hyper-sensitive people, there is no place they can go to start IV antibiotics and get the needed hydration and IV medicine to control their symptoms while they react to the die-off and toxins. The cost for treating Tick-Borne Diseases are staggering and insurance companies refuse to pay for them. The intention is to blend all the best of what health care has to offer, using various modalities in a synergistic way to build and support, cleanse, and detoxify the body so that treatment of Tick-Borne Disease can be maximally effective. Inanna House will be an in-patient health care center for debilitated chronically ill individuals, a place to receive supportive therapies in many modalities and to start treatment with IV antibiotics in a safe environment. It is a program designed to address all aspects of healing *Physical, Emotional, Mental, Spiritual, and Energetic*. Inanna House will offer an oasis of Peace, Health, and Healing for those with Chronic Lyme Disease. Inanna House will be the first facility of many to model the new paradigm. 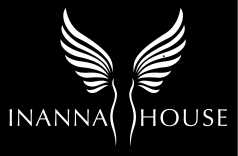 It is part of the vision that we will have Inanna House around the world. Many of these centers are needed as millions are in need of help. It is time for a change, a different way. It is time for a new paradigm for true health. Inanna House will offer an oasis of Peace, Health, and Healing. A place where pain and frustration ends and patients are given a chance to heal in a safe and supportive environment.